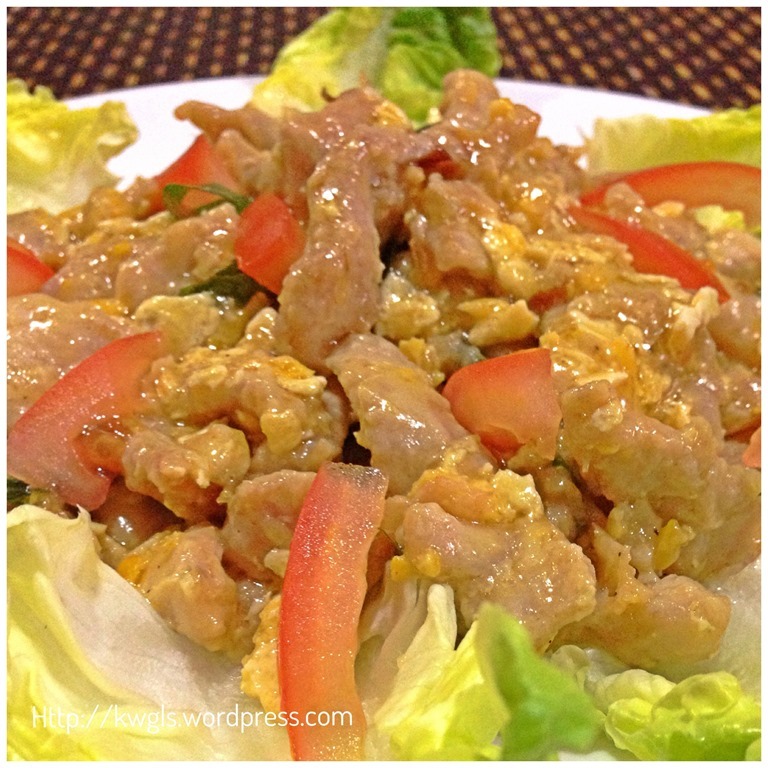 Curried “Buttered” Meat Slices With Salted Eggs.. 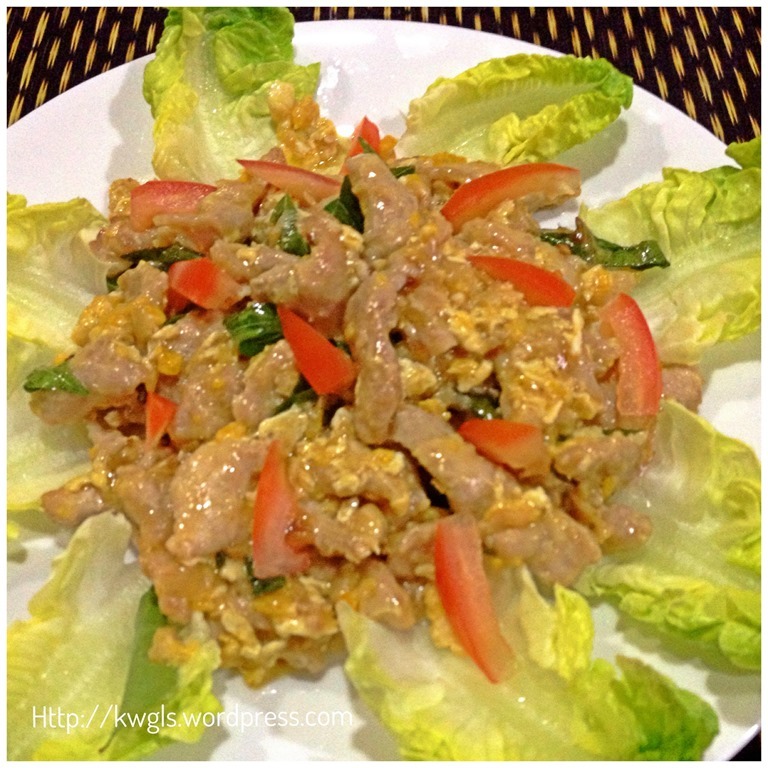 I have this meat dish as a side dish for yesterday’s dinner. 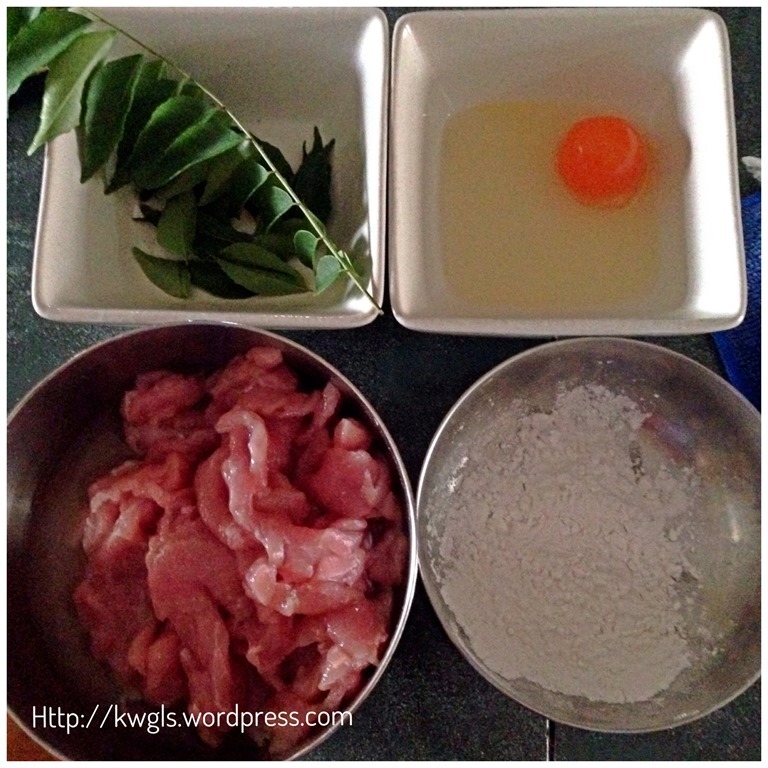 It is a rather regional dish, cooking using the traditional Chinese cooking ingredient, salted eggs and the common Malaysian cooking ingredient, curry leaves (Murraya koenigii). In addition, to enhance the fragrance I have used clarified butter, ghee in the cooking. 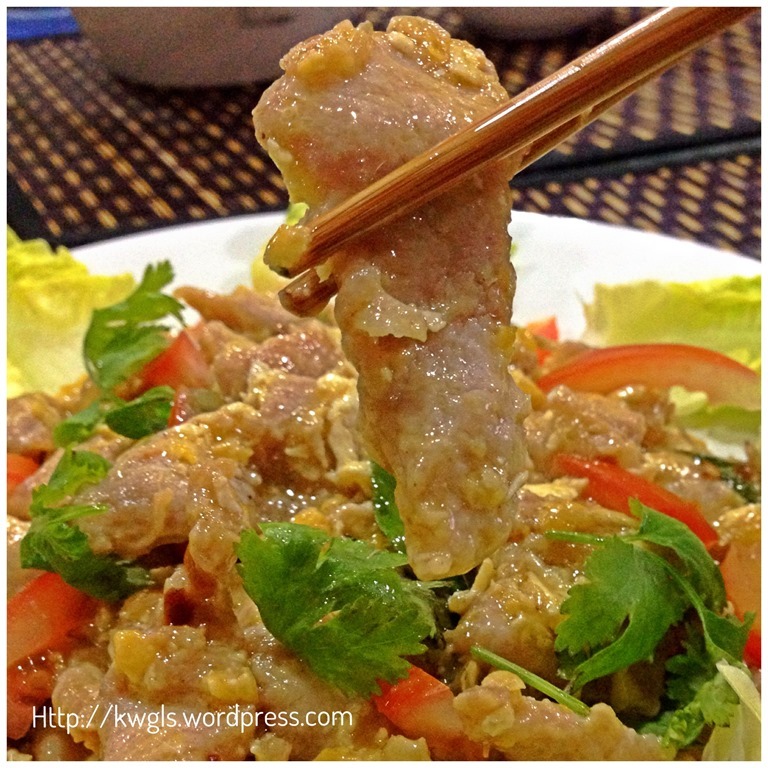 The dish is a nice curry butter flavoured meat slices which is a rather sinful indulgence in savoury dish. 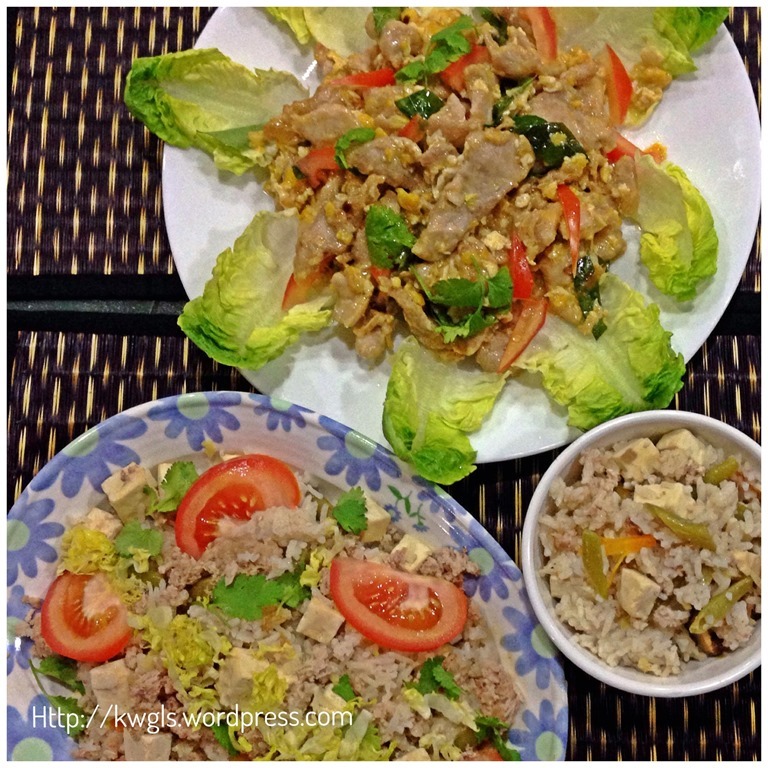 International readers, you are always on my mind, every times when I issued a post, I will think of alternatives for you to try cooking the dish considering the fact that you may not have the localized ingredients there. The taste of course will not be compromised much. It is very common that this special combination of salted egg, butter and curry leaves is used for the cooking of seafood especially cooking of prawns. It is a relatively new dish and I can’t recall I have ever eaten when I was young. 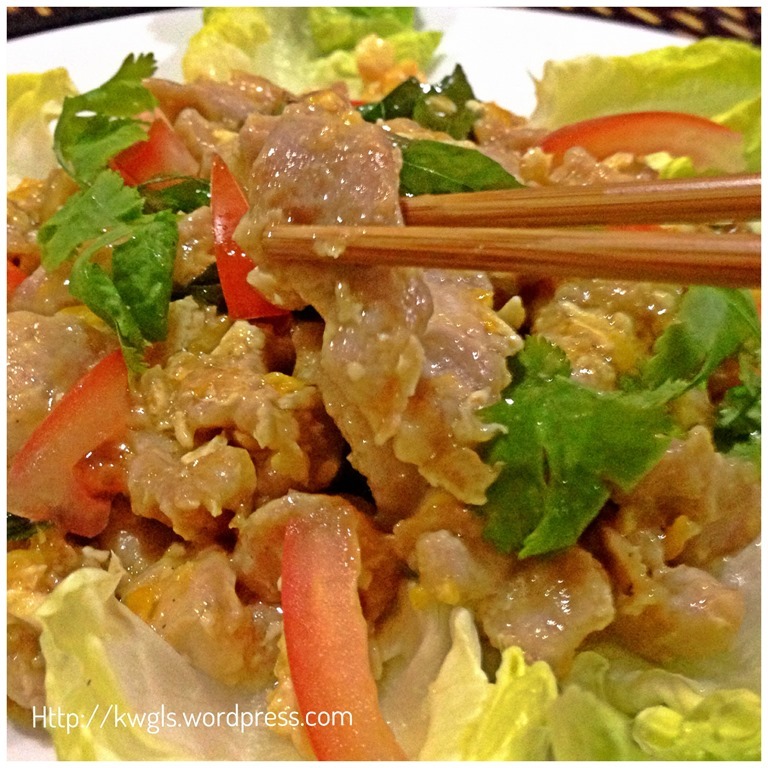 I understand that it started as a restaurant dish and is now commonly prepared by Singapore and Malaysian house chefs. For this post, I think the following ingredients worth special explanations. 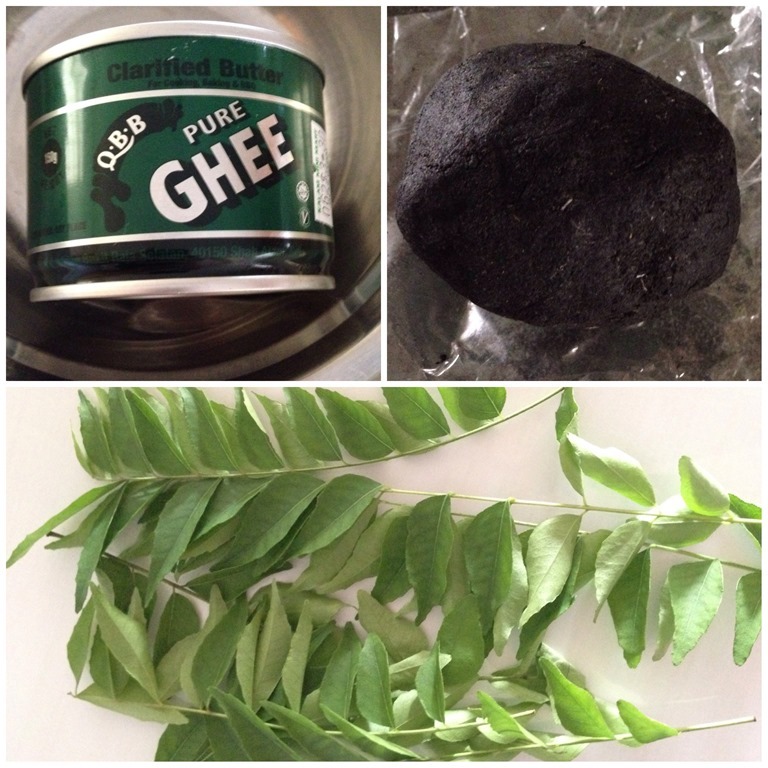 Curry tree is a common plant in Singapore and Malaysia. It’s leaves had a pungent smell and used in a wide varieties of cuisines especially in the cooking of curry dishes and seafood dishes that have a strong fishy smell. The smell will become more obvious after the leaves were deep fried. Ghee is a type of clarified butter that have a higher fat content and is commonly used in the India Sub Continent’s cuisines both in bakery or normal cooking purposes. When used in the preparation of Indian Short Bread cookies (Nan Khatai), it really creates a melt in the mouth feeling whereby the cookies is crispy and crumbly in texture. You may want to read more about Ghee and my post Nan Khatai HERE. 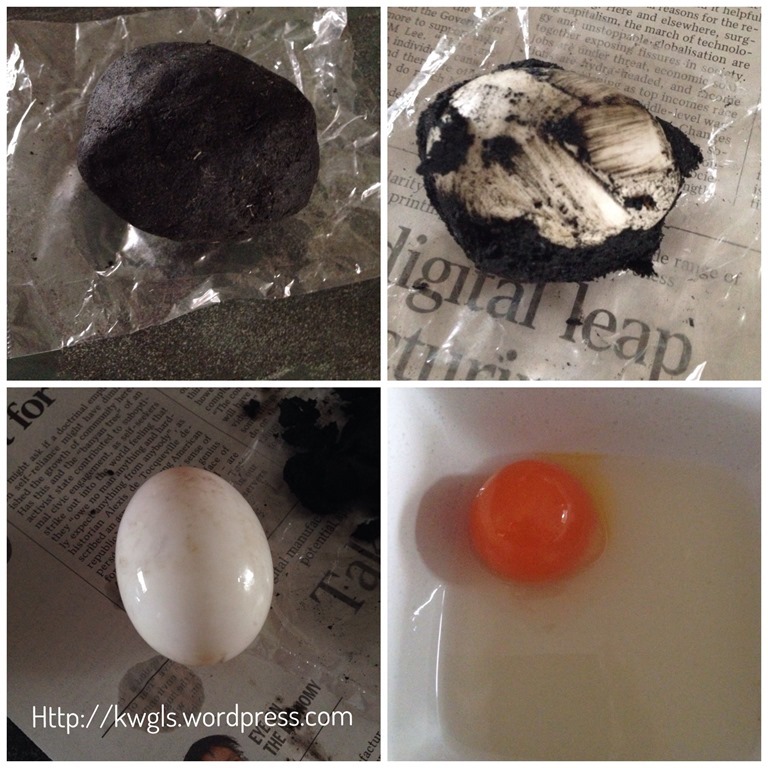 Salted duck egg is a very common Chinese household cooking ingredient. It is used in pastry such as moon cakes as well as a variety of Chinese cuisines. It is salty and can also be eaten on its own with porridges. It had a special fragrance when cooked. Clean your meat slices. Add egg white (from the salted duck eggs whites or chicken eggs whites), corn flour, half of the curry leaves and marinate for about 1 hour in the fridge. 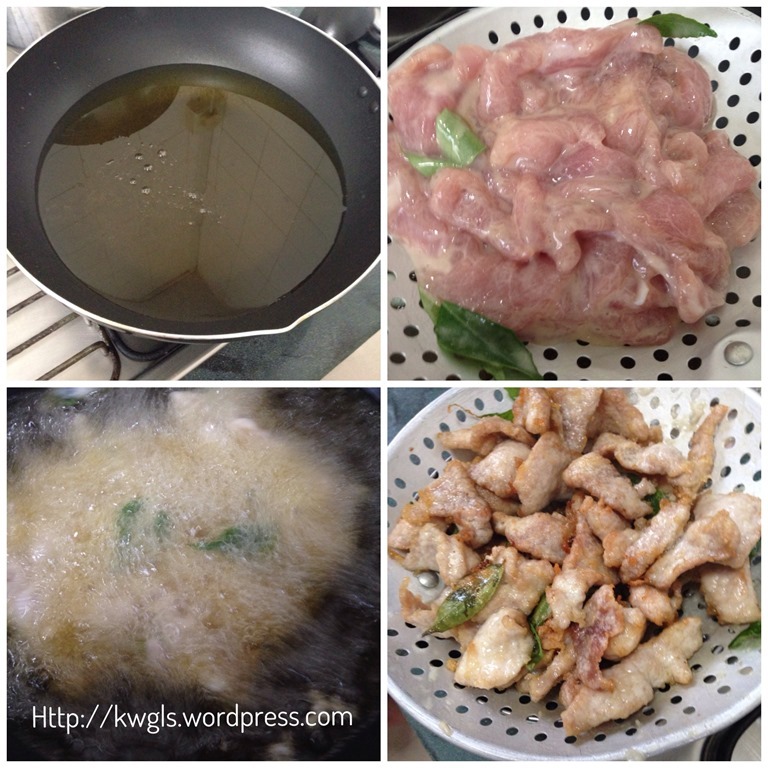 Have some cooking oil, bring to high heat and oil blanching the meat slices for 2-3 minutes. Drain and set aside for next step. Depending on the thickness of the meat, you may have to blanch for a slightly shorter or longer time (plus or minus 1 minute). It is ok if the meat inside is not fully cooked as the next step will continue cooking the meat. 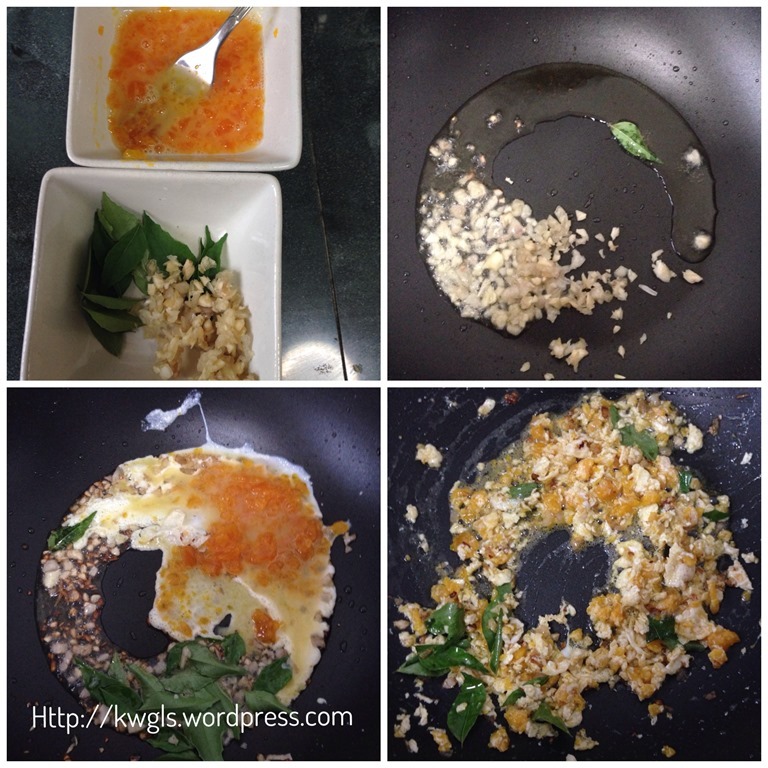 Meshed the salted duck egg and get ready the other half of curry leaves and the chopped garlics. Add 1 tablespoon of corn starch with 2-3 tablespoons of water to make a corn starch solution and pour gradually into the frying pan. Stir fry for 2-3 minutes until well mixed. If it is too sticky or you prefer to have more sauces, add some more hot water. The thickening of the sauce is OPTIONAL. Best served hot as a side dish in a Chinese meals. The dish is full of flexibility in terms of its ingredients. You can cook in the same manner for prawns, fish fillets or chicken strips. 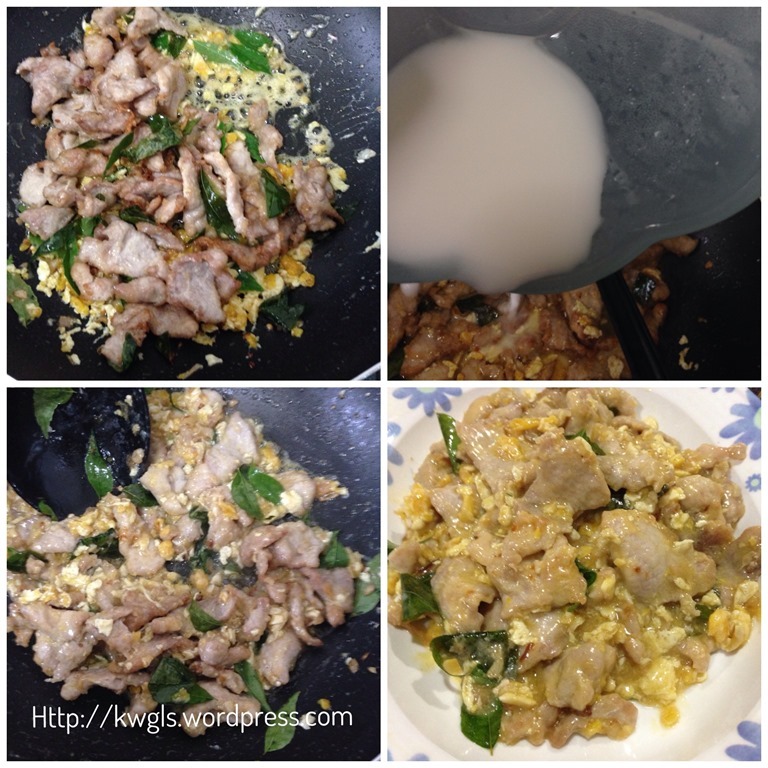 If you do not want oil blanching, you can just stir fry it by passing the step but cooking time have to be slightly longer. 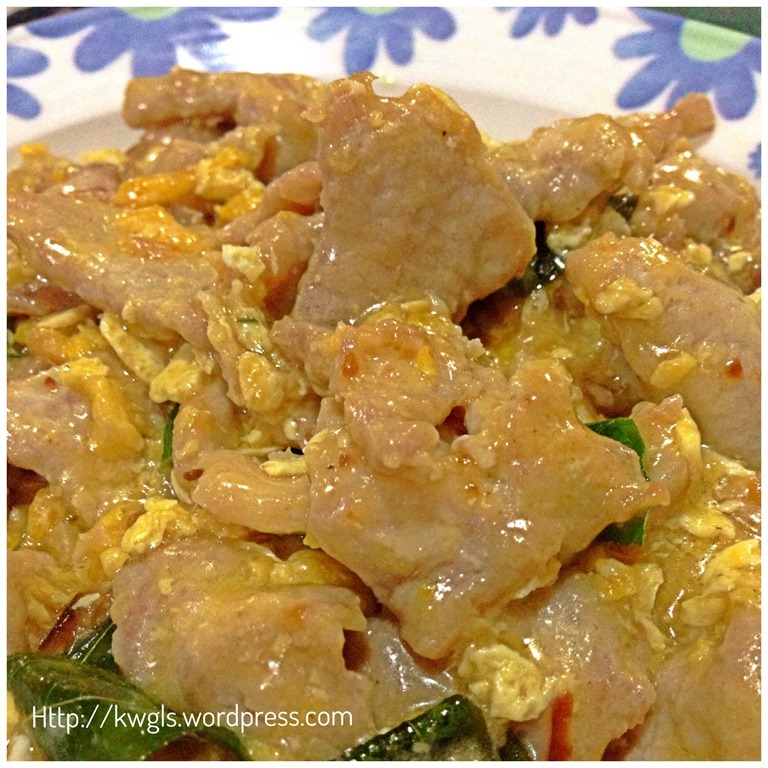 Salted egg is optional and you can either using a chicken egg or totally not using eggs. In this case, you have to add pinches of salt or bit of light soya sauce. No curry leaves, feel free to use bay leaves. 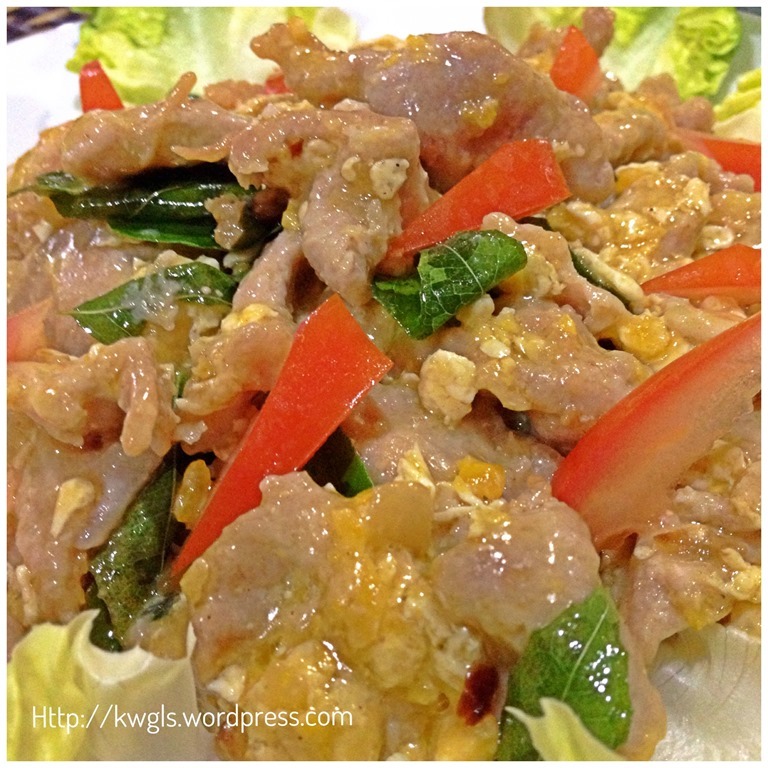 The colour of the dishes will very much depend on the salted egg that is used. It can be a beautiful orange colour dish. Personally, I would think that the dish is tasty and presentable. Hope that you can try preparing the dish for your family members or guests. Hope you like the post today. Cheers. 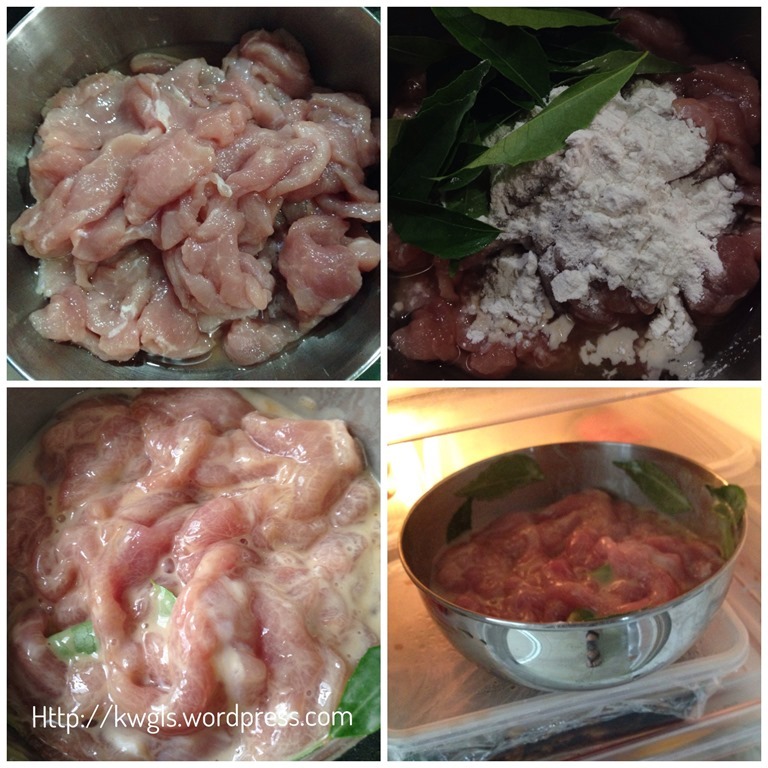 This entry was posted in Dish, Food Preparation Series and tagged 8, Chicken, Chinese dishes, curry leaves, Guaishushu, malaysia, Meat, pork, postaday, Prawn, salted egg, salted eggs, singapore. Bookmark the permalink. I know I have said it before but thoroughly enjoy your posts because the recipes are awesome and I love learning the history of the foods. I also appreciate your education on how to convert the recipes to ingredients that others may use on a regular basis. Always fascinating. This dish looks amazing and I would definitely fix it with chicken. Pinning onto my cooking bucket list. This is such a great cooking school blog! I have learned so much from reading your explainations. I appreciate that you list alternative ingredients for us in case we can’t find the authentic ones! Oh wow now I’m hungry! Beautifully presented and photographed too!